Bullet Journal: Trackers - Quire & Co.
Trackers! Trackers are graphs or charts used to provide useful information at a glance. They can be used for a huge number of things – to trace habits, mental health, shows watched or anything else you can think of. Honestly, there isn’t much to say about trackers. My best advice is to go online and find examples of what you’re trying to create. You can then tweak your finding to create the perfect tracker. I WILL say this – yes, there is an app for that. While I totally agree that some apps are a lot more convenient, I also believe that there is a certain sense of accomplishment in manually entering data in trackers. Of course, one person’s preference may not be another’s, but give it a try. Below are some trackers I’ve found on Instagram to give you just a taste of what is possible! 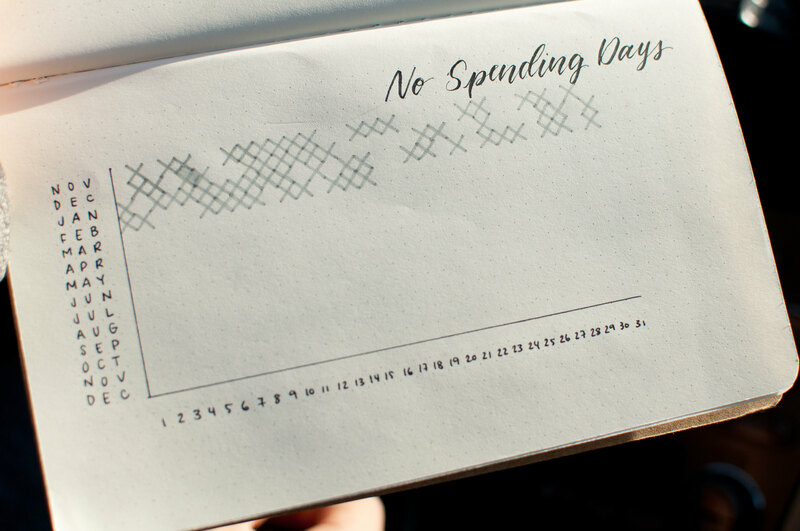 Habit trackers are just that – a way of keeping track of your habits and to hold yourself accountable. Whether you’re trying to read more or looking to eat healthier, this is a visual representation of how well you are (or aren’t) doing. Mental health tracking is really popular right now and with good reason. By visually representing our mood, we can look at certain patterns and trends to help determine what can be changed. Furthermore, the act of taking your time to map out your day can be quite calming for some people. Here are some other tracker ideas to get you started! Like I said, there are so many different kinds of trackers you can create – you are only limited by your imagination. If you create you own, be sure to share it on social media to share with others. You can put your trackers in your daily spread, weekly spread or anywhere you think they fit! I put mine at the end of my bullet journal and made a full year graph because I knew I wouldn’t keep up with it if I had to redo it every week or month. Also, trackers can be done even if you don’t have a bullet journal. You can keep them by your desk at work, in the car or somewhere at home – any place that you go to often. And don’t cheat! The only person you are cheating is yourself. Be honest with your trackers. Thanks for taking the time to read! Please visit and like all the Instagram pages above. I think it’s important to encourage creativity and ideas online, especially in a community as great as the bullet journal one. This entry was posted in Bullet Journal and tagged bullet journal, journal, moleskine, notebook, tips, trackers. Bookmark the permalink. 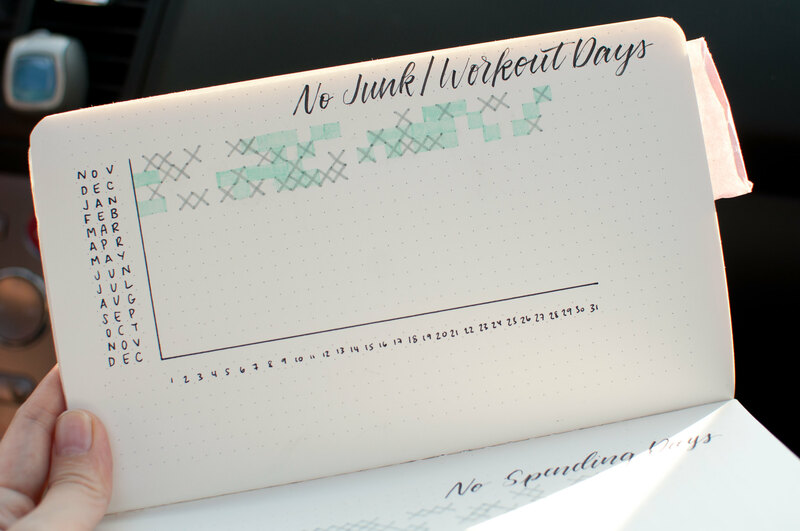 What do your X and grey highlighter marks mean for No junk/workout days? The green highlighter is days that I didn’t eat junk food (chips and candy) and the grey highlighter/x is for days that I worked out. I didn’t want to use two separate pages for the trackers so I combined them into one. I do love the manner in which you have framed this challenge plus it does indeed give me some fodder for consideration. However, because of what precisely I have observed, I basically trust as the opinions pack on that people today keep on issue and not embark on a soap box of the news of the day. Still, thank you for this fantastic piece and even though I can not really agree with this in totality, I respect the standpoint. Nice post. I was checking continuously this blog and I am impressed! Very helpful information specifically the last part 🙂 I care for such info a lot. I was seeking this certain information for a very long time. Thank you and best of luck.